I don’t think there are too many landfills that can boast a trout farm, an electricity generation plant as well as their own Bio Grow certified Capital Compost. 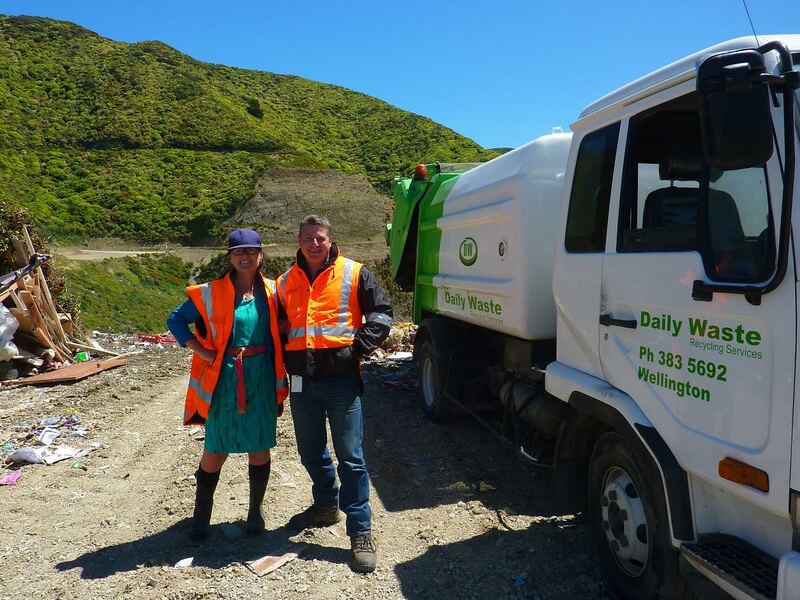 And I wouldn’t have called the landfill a place I’d want to hang out at for long, but on my quest to find out what happens to my rubbish I met Darren Hoskin’s, our Southern Landfill Operations Manager, who has been working (well hanging out) at our Southern landfill for 21 years. Something in the water? And you’ll never guess what the biggest resource that could be the next major opportunity for us is….actually you’ll never guess. You’ll have to listen. And it’s not the tyres. This entry was posted in Enterprise, Environment, Social & Civic and tagged Environment, Sustainability by lauriestarfish. Bookmark the permalink.